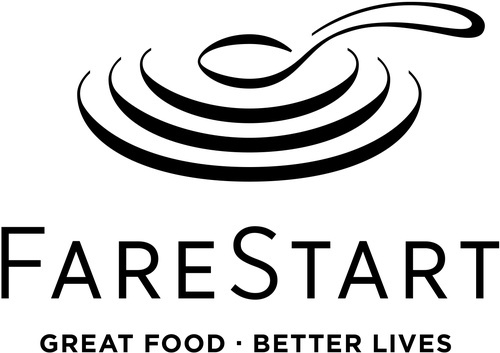 **FareStart will be TEMPORARILY closed starting April 2nd while they freshen up their interior & menu. ** Guest Chef Night will take place at Maslow's during the temporary closure. Join FareStart for Guest Chef Night! All proceeds support training programs, including gratuities. Guest Chef Night has been a weekly highlight for the FareStart community since its initial launch in 1992. Their Thursday Guest Chef Night is a unique opportunity for their students to work with premier chefs from the Seattle area, for their supporters to enjoy an excellent meal, and an opportunity to share the transformative work of FareStart to the greater Seattle community. A three-course guest chef meal for only $29.95. The price does not include tax, beverage or gratuity. Wine, beer and non-alcoholic beverages are available for purchase. If you would like a vegetarian option, please let them know when you make your reservation. Seatings are every 15 minutes from 5:30 - 8 PM except 7 and 7:15 PM. That's when FareStart introduces and celebrates the students graduating that week from their 16-week culinary training. The atmosphere of Guest Chef Night is festive and casual. To reserve a large party (more than 7) please contact 206.267.7601 or email.